In competitive markets, it is critical to minimize the length of the designing process to introduce products to the markets faster. Digital prototyping allows designers to iterate and visualize extremely quickly and accurately. In addition, it frees the organization to involve clients much earlier in the design process while giving them higher confidence in what they're commissioning. Multi-GPU portable systems, like the MegaPAC, unleash the interactive potential of applications like SolidWorks, Siemens NX, PTC, CATIA, and 3ds Max. As a result, artists can more intuitively approach designs that better reflect real-world behaviour of light and materials. The MegaPAC supports the most powerful NVIDIA professional GPUs (e.g., Quadro or Tesla) and the most powerful CPUs (e.g., dual Intel® Xeon®). By combining these elements, we have minimized rendering times and maximized interactivity to accelerate the creative process in a portable environment. The result: earlier debuts for your products. Simulation engineers want to improve the quality of products while reducing development time and costs, especially in a portable environment. This often involves using simulation mechanisms such as computer-aided engineering (CAE) tools for finite element structural mechanics, computational fluid dynamics, and electromagnetics. Multi-GPU systems like the MegaPAC meet simulation turnaround demands while removing all productivity bottlenecks, which is key for CAE applications from ISVs such as ANSYS, Altair Engineering, Autodesk, FluiDyna, IMPETUS, MSC, Prometech, SIMULIA, Vratis, and more. With dual Xeon CPUs and Quadro or Tesla cards, the MegaPAC provides engineers with much faster simulations, and as a result, they can accurately analyze the design of models more quickly. ACME engineers work closely with all hardware technology companies to ensure that all systems will function with all the speed, functionality and reliability users demand. Boost your productivity and workflow. 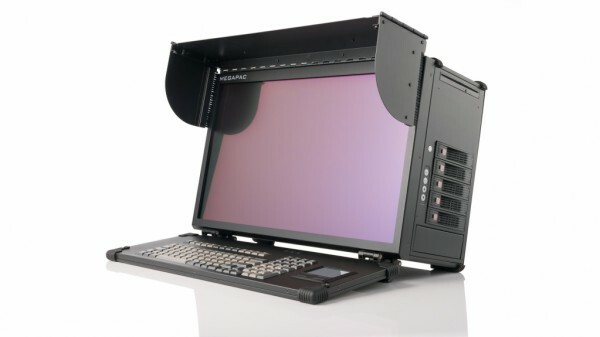 For more information about our high-performance, graphics-intensive portable computer systems, email us at info@acmeportable.com or call us at +1 (626) 610 - 1888.